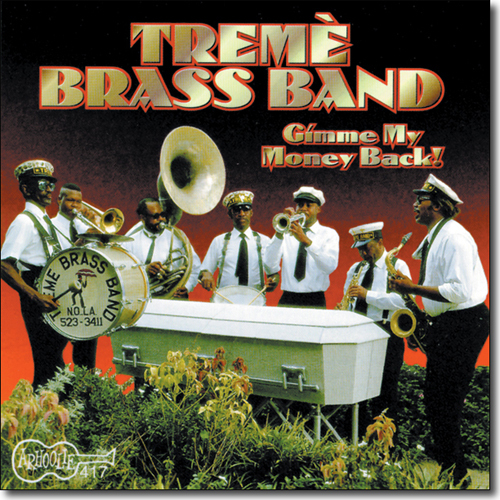 On 5/3/1995, Tony Brooke recorded The Tremè Brass Band at the Louisiana Music Factory in New Orleans during the 3rd Annual Brass Band Blowout. 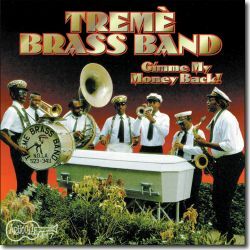 Four tracks from this recording were released as part of the album "Gimme My Money Back" on Arhoolie Records. The tracks were "Back O'town Blues," "Hindustan," "Jesus Is On The Main Line," and "Food Stamp Blues," which you can listen to below. The band featured Benny Jones Sr. (snare drum), Lionel Batiste Sr. (bass drum & vocals), Jeffrey Hills (tuba), Corey Henry (trombone), Roger Lewis (tenor sax), Fredric Kemp (soprano & alto sax), James Andrews (trumpet), Kermit Ruffins (trumpet), and two unidentified Japanese tourists sitting in on banjo and piano. Tony was broadcasting and recording from a van in the alley behind the Louisiana Music Factory with John Sinclair. These shows were part of a series of New Orleans Jazz Festival live broadcasts and recordings for radio station WWOZ-FM.